If you crave the most up-to-date info and intelligent commentary on local and state issues, you likely have one of your radio buttons pre-set to 90.7FM -- and if not, you should. In addition to hosting the ever-popular Charlotte Talks with Mike Collins, WFAE is also the place for NPR addicts to tune in for their daily fix. The station has adapted well to the social media madness, allowing listeners to become a part of the conversation through online forums, Twitter and Facebook. And if you're feeling old-fashioned, you can always call in. For years, Divakar has given up his time to help showcase as much local and regional music as he can on Sunday nights on 106.5 FM. Aside from his work on the radio, which often includes interviews of local bands, he's also often seen around the scene and supporting the acts that he plays on his show. When local bands are looking for a chance to be heard, Divakar does all he can to bring the music to the masses. Thompson, the public affairs director for WBAV 101.9 FM, has her finger on the pulse of Charlotte. And thanks to her microphone and voice, Charlotte radio is saved from totally sucking. 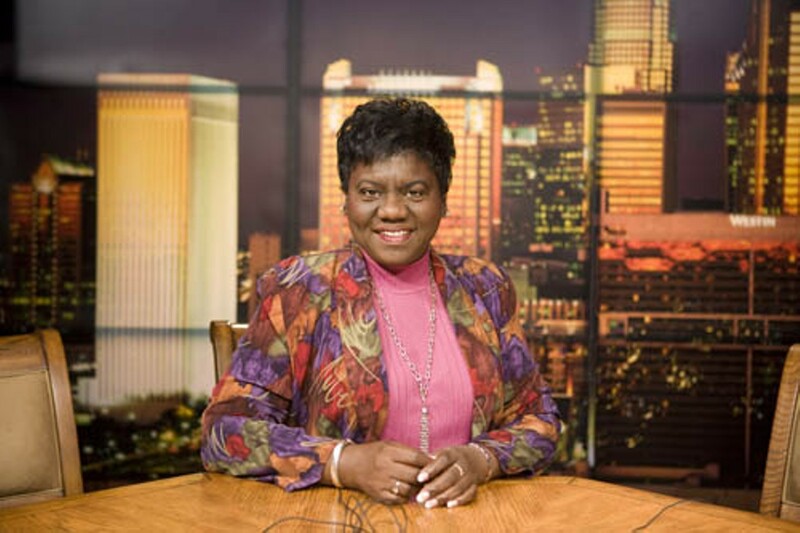 Thompson has been a journalist in the Queen City for more than 30 years, knowing what topics need coverage and what the community will respond to. If she's not interviewing the movers and shakers in the city, then she's highlighting community events that you won't see on the nightly news, in between songs by Souljah Boy or T-Pain. A repeat winner. With a clear smooth voice that has enough bass in it to make you believe he's telling the truth and not reading from a teleprompter, News 14's Rob Boisvert has what too many local news anchors don't: credibility. Every story is delivered without the dramatics that some anchors play with for ratings or because they can't help stumbling over words. Maybe that's why WSOC-TV let him go -- he speaks too clearly. Being a weatherman these days is as much about personality as it is about accurate predictions. And you don't find characters like Larry every day. In addition to seeing him weekday mornings on WCNC, you can find Larry (and his killer coif) volunteering and speaking at events all over the city. If you get the chance to meet him in person, he's a real trip. And when you do, ask him what his hair secret is ... we're dying to know. A repeat winner. There's nothing little about this two-time national champion wide receiver turned sports reporter. A 20-year Charlotte media veteran, Delano continues to deliver the dish on local sports from NASCAR race week in May, to Football Friday Nights in the fall. A repeat winner. He's a three-time Peabody Award winner and with good reason: Watson is one of the few TV news journalists who does the legwork, reads the records, chases down the sources, and figures out databases like a champ. Plus, he's not a bad storyteller, either. Helms' reporting on education has been invaluable during the past year when budget cuts and changes in the School Board have shaken Charlotte public schools to their foundations. Fair, dedicated, and a good writer to boot. Even with the slow suffocation of traditional print media as we know it, this monthly mag has managed to rise above and remain a great source for Charlotteans to stay in the know, with thoughtful features and insightful guides. In addition to keeping us entertained and informed, they also do their part for the community. Recently, they joined Mission Possible, a local media effort to help struggling Charlotte charities get through the current economic crisis. The death of print publications and the rise of Internet-only news outlets has left a lot of journalists out in the lurch -- with tons of talent and experience, but no idea how to adapt to an ever-changing media landscape. 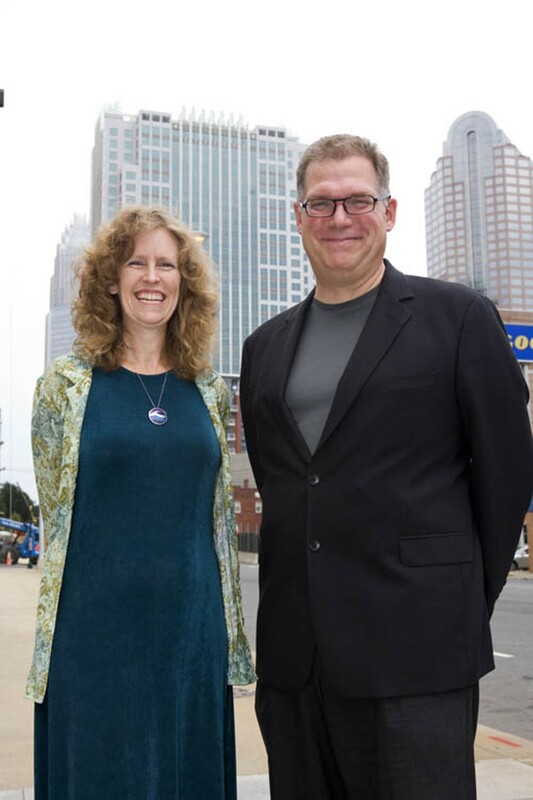 Charlotte-based writers Jarvis Holliday and Mary C. Curtis, however, have embraced this brand-new world with open arms. Holliday left a steady editing gig at Charlotte Magazine and now, along with writing and editing for a variety of companies, creates daily content for his own popular blog, Grown People Talking. Curtis, on the other hand, served an award-winning stint as a columnist at The Charlotte Observer, until she was caught in one of the paper's recent wave of layoffs. These days, she splits time as a contributor on several shows on National Public Radio, delivers weekly commentary on Fox News Rising and writes columns every day for AOL's highly trafficked new Web site, PoliticsDaily.com. These two ex-print pros are creating the blueprint for how journalists will chronicle the world's events in the future. Take notes. In a time when anyone with a high-speed connection and a Web site is considered a news organization, CLT Blog has given voice to intelligent, Charlotte-centric writers and stories that those on the Web care about. And they know how and what to tweet. Twitter was created for sites like the CLT Blog. Instead of updates about the lint in somebody's bellybutton ring, CLT Blog informs the Twitter-verse about what matters to Charlotte. When it comes to telling it like it is, you need John Grooms. He may step on conservative toes, but as soon as you're ready to call him a liberal hack, he turns around and proves that he's just a free thinker who doesn't give anyone a pass. Grooms tackles topics that others ignore and pisses a lot of people off doing it. You couldn't ask for more. His opinions are based in fact, and his style of writing is crisp and funny. At the end of a Grooms column, you're always left thinking. And isn't that the purpose of reading? Congratulations to Scott Fowler, who has now won this award two years in a row -- good show, Scott! Now if you could find something to write about other than What It's Like To Be Scott Fowler, we'd certainly appreciate it.